Steam power has given us the locomotive, the first motorised boats, and has powered all sorts of factories. But what about the inventions that maybe didn’t kick up such a fuss? These poor inventors may have been deluded, but they were certainly creative. 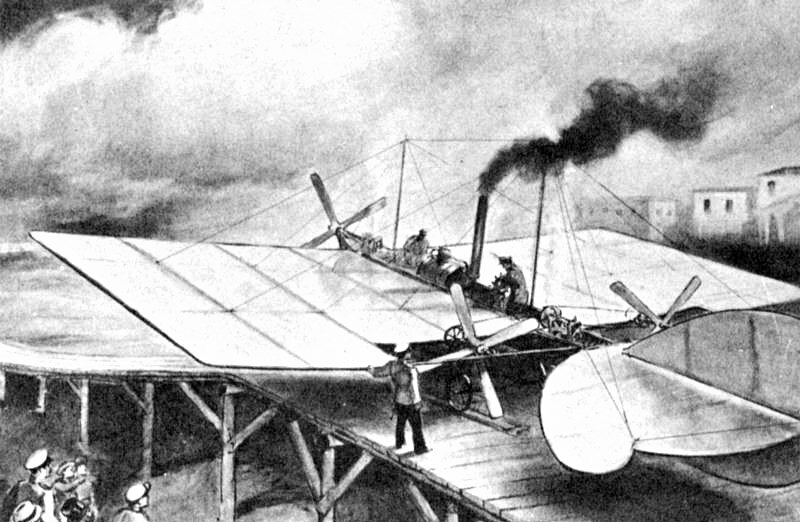 Lest they fall into obscurity, here’s five steam powered inventions you’ve probably never heard of, and with good reason. Invented by George Moore in 1893, this fellow could not be held back by two men, in more modern terms, he was essentially bouncer-proof and could get into any club. In his chest was the boiler which could bring him up to a speed of four to five miles per hour. In more modern terms that’s about half the speed of a Segway. 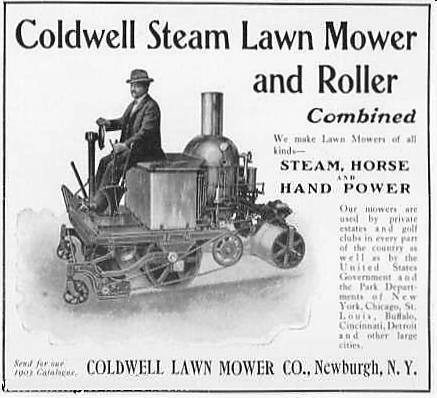 Used on the White House garden at one point, this machine was designed in 1901. Not the most absurd idea, but rendered obsolete once things got a little bit smaller. And less loud. And less steamy. Born out of the American civil war, this monster could apparently fire 200 rounds a minute. Probably best it was never used. Intended to be sold to the Confederacy, it was confiscated by the Union who never used it. It was probably all hype, much like Segways actually. Not sure what the name for this one is, as you may have guessed, but it’s a remarkably cruel invention. The idea is to fire boiling water at any animal blocking the tracks, inspiring them to move. This one never made it past a patent which means, yes that’s right, there’s a gap in the market. Many attempts at this form of flight were attempted, none of them very successful. The one above was invented by Alexander Mozhaisky in 1884. It was airborne for almost 100 feet, but could not sustain flight and needed to roll of a ramp to get going. So in a way, this one took off. Just about.